Whether your production line is stocked with new or used packaging machines, it needs maintenance. With regular use, even a pristine piece of equipment degrades over time, and neglecting to properly service it can easily turn a small problem into a major one. Eventually, decreased efficiency and performance problems turn into forced downtime and major malfunctions—all of which can be prevented with the right care. Don’t wait until something breaks to fix it. Waiting may cost you time that could have been spent working and wastes money in paying wages for downtime and lost product packaging. However, if you don’t have in-house technicians, though, who fixes your packaging equipment? Finding the right packaging equipment services extends and even saves the performance and lifespan of your machinery. Maintaining equipment appropriately means you need someone knowledgeable about the technology on staff. Production personnel will be more focused on keeping the line running than keeping up with routine maintenance tasks. Instead of hiring dedicated maintenance personnel, consider partnering with your packaging equipment provider. Brand-specific idiosyncrasies can make two different machines of the same type perform differently, so one-size-fits-all solutions aren’t applicable. Instead, you should seek out a specialist with highly relevant experience—if your equipment is from Hayssen, a company that only services Bartelt won’t necessarily be helpful. Instead, choose a company that offers packaging equipment services for different brands and machine types—and specifically for yours. The more they know about your specific machinery—not just equipment in general—the better they can diagnose and treat your issues. This is why you’re better off working with your specific packaging equipment provider over other manufacturers and maintenance personnel. High Performance Packaging doesn’t only sell quality, refurbished machinery for your company; we help you maintain your equipment year round so you get the most out of your investment. Ideally, if you’re using used packaging machines, they came from a company that refurbished them before resale. Even new equipment breaks down, though, so whether you’re using new or used packaging machines, you can’t afford to skip out on regular maintenance. Parts break or wear down, film jams, product gets caught and electrical problems unexpectedly strike. There’s simply no avoiding it, which is why you need to develop a plan for regular and preventative maintenance. This type of servicing can prevent the forced downtime that accompanies breakdowns later on, saving you time and money in the long run. It can even prevent the catastrophic failures that threaten to shorten the life of your equipment. If you aren’t investing in packaging equipment services that include repairs, troubleshooting and maintenance, you could be forced to replace your machines much earlier than you expected. 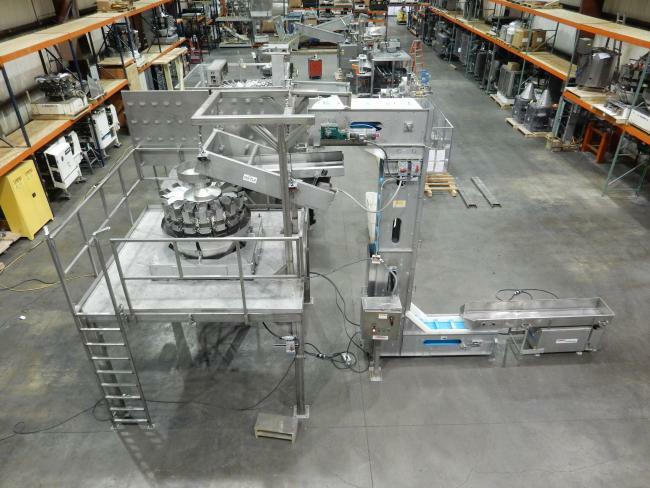 While you can order your machines from a company that offers packaging equipment services like these, you can also seek them out from contractors and consulting companies that specialize in improving production lines. Our Proactive Service Level agreement features preventative, routine maintenance for all the used packaging equipment we sell. Doing so helps you maximize productivity and effectiveness in your day-to-day operations. When you sign up for our maintenance program, we will sit down with you and discuss a custom plan that focuses on your business goals and target efficiency key indicators. We have more than 25 years of experience working in the refurbishment and maintenance of packaging machinery. We don’t sell anything we don’t know inside and out. You will receive quality assistance in packaging line installation and expertise for the brand and model of machinery you invest in. If you do encounter a problem with your High Performance Packaging equipment, we stock many replacement parts to prevent you from having to invest in new machinery when a system fails. Even with regular maintenance, you will encounter the breakdown of parts over time. Let us help you troubleshoot as soon as a problem arises so we can get you back up and running fast. It’s part of our commitment to quality to ensure that your productivity levels remain high and the packaging equipment maintenance we provide gives you top performance when the equipment leaves our shop. In the realm of packaging products, there are a number of machines that are used to complete the task—shrink bundlers are one such machine. They are used to bundle together nearly any flat product, which makes them more ideal than vacuum sealers for certain things, despite doing very similar jobs. Some of the more common products that are used with shrink bundlers can include cans of soda, doors and windows, bulk amounts of boxes (such as unfolded pizza boxes), folding chairs, and stacked cartons. If you require a shrink bundling machine in your packaging line, High Performance Packaging offers top quality used shrink bundlers and wrappers from some of the most reliable brands in the packaging industry. All of our used packaging line machinery is available at affordable prices to make your production lines efficient while saving money. Our selection of packaging line machines will keep your facility running without issues, with reliable equipment costing little more than models from lesser brand names. Shrink bundling is a way to efficiently group multiples of one item into a compact, secure package. 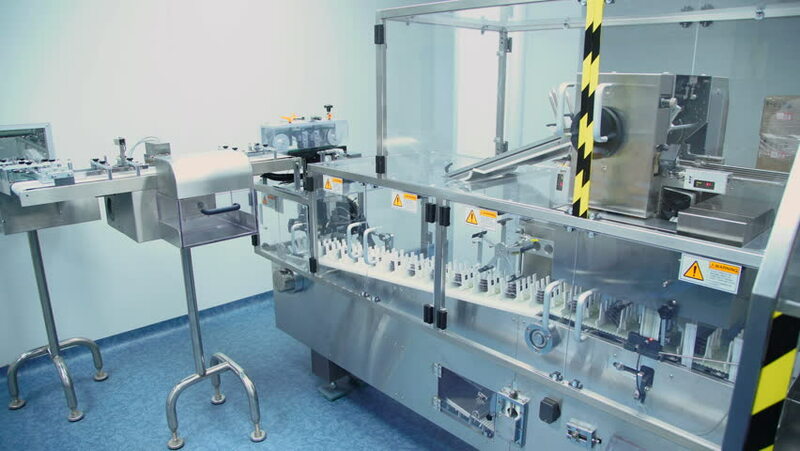 It can be done with your unique specifications in mind, including product size, line speed, film gauge, clear or print-registered film, type of side closure, and final packaging appearance. Because shrink bundling is such a customizable and efficient way of packaging many things at once, companies that sell more than one of a product to a client or another company find that packaging the products this way is the easiest way to ship them. Shrink bundling can also be used to protect products from being jostled during shipping. For instance, in the case of windows being shipped, if they are bundled then shrink-wrapped, it is harder for one singular window to become broken in transit. The insulation of having the other products packaged together keeps all of the products safer from being damaged. Used machinery often gets a bad rap from people who have previously purchased things like used cars that were not well maintained before they came into ownership. However, purchasing used machinery for packaging lines is not like buying a poorly maintained used car. When you purchase packaging machinery from High Performance Packaging, you’re getting a piece of equipment that has been thoroughly inspected before resale that will last in your facility for years to come. We are proud to offer our customers top-rated brand names that they can trust, so that they can get the machinery they need to succeed without breaking the bank. 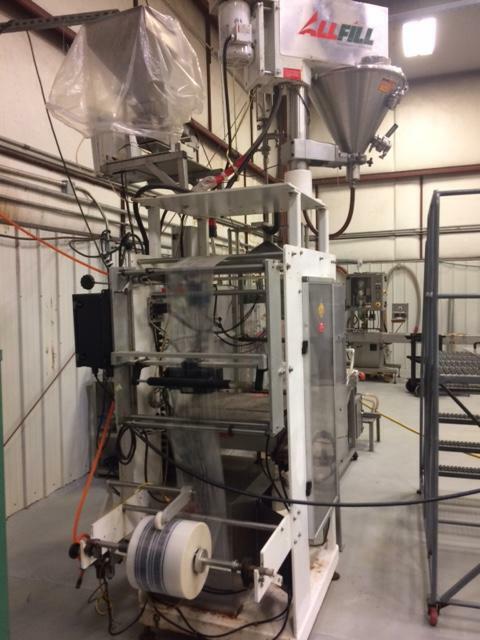 With any of our used shrink bundlers in your packaging systems, you will save money while utilizing equipment that is just as reliable as newer models. We carry many of the most trusted brands in the industry, and we inspect each piece of equipment to maximize the efficiency of operation. We also offer operator training prior to installation in order to keep your staff knowledgeable and efficient. To prevent equipment breakdowns and further increase efficiency in your packaging line, HP Packaging also offers preventative maintenance to address potential mechanical issues. For more information about or a free quote for shrink bundlers or any of our other machines, contact us today. We’re happy to discuss any of our machines, and if you do decide to purchase from us, we also offer training programs to ensure your staff is prepared when the machine is installed. 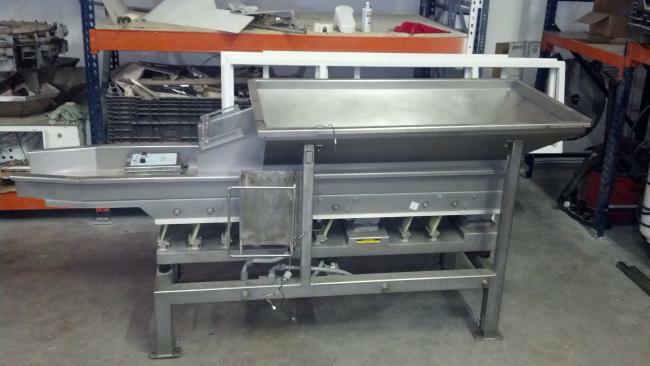 Why is It Better to Buy Used Packaging Machinery from a Vendor? When you’re in the market for packaging equipment and machinery to add to your production line, you have the option to purchase from a vendor who sells new equipment or one who sells used equipment. While your first instinct may be to purchase from the new vendor, the used vendor may be the better choice. If you’re on the fence as to who you should be buying equipment from, here are some reasons why buying from a used vendor is more beneficial to you and your business. When you purchase from a new machinery vendor, you’re purchasing from people who may not know the ins and outs of either the machinery or the industry you’re in and what your intended use of the machine is. This means that they may not know the best product to suggest for your uses—while it’s important that you do some research on your own, you should also be able to count on sales associates and customer support staff to help you make an informed decision. If someone is simply selling a product and doesn’t necessarily have full working knowledge of it, you may find yourself in a bind. Used and refurbished machines are going to cost less than their new counterparts. That not only means that you’ll save money, but also that you have the potential to purchase better machinery—higher end brand names at more manageable prices, due to their refurbished status. You’ll still be getting the same great product, however, and since you’re spending less per machine, you may even be able to expand your production line. This could lead to additional possible production, which could mean more sales, more success. Being able to purchase more machinery for a lower overall cost puts expanding your business well within reach. When you’re looking at top brand names for your packaging line, you may experience a bit of sticker shock, especially if you’re buying multiple machines. Buying used machinery is a great way to get a deal on machines you both need and want, but it doesn’t mean you’re sacrificing quality—refurbished machinery is brought back to top standards before being resold, which means you’ll be getting a great machine that will serve you for years at a bargain price. What’s not to love about that? You can choose from brands you know and trust, like Triangle, Hayssen, Matrix, Bosch, and many, many more. Used machinery purveyors will also be able to help you in times of distress—should, for any reason, the machine you have need repair or maintenance, people who work for a used vendor will better understand how to explain what needs to be done or how to troubleshoot your machine so you can get it back in full working order. When you need replacement parts either for the machinery you already have or the machinery you purchase from a used vendor, they’ll be able to confidently ship the correct product so that your downtime is as small as possible. Rather than simply selling you a machine and being done with the transaction, your vendor will be able to help you in the future should you need support, troubleshooting, or employee training. And, what’s better, is that because used packaging machinery is usually refurbished in-house by the company you purchase from, their staff is likely to have a thorough understanding of how their products work. If you have trouble or need help on figuring out a problem with the machines, they may have encountered that issue before and can advise you on what to do. In the same vein, they may also be able to offer knowledge for your employees in regards to learning how to operate the machines. Isn’t Buying Used Packaging Equipment Risky? Manufacturers may want to expand their packaging lines in order to do more, but may be discouraged by high prices attached to packing machinery. Used options are available, but a lot of people are put off by the word “used,” writing the machines off as being rife with problems or needing mechanical work or repairs. The truth of the matter is, while some companies may sell used equipment as-is, we’re committed to only offering our clients refurbished equipment that is ready to go, running properly, and that will last your company for years to come. Creating a continual business relationship is just one of the perks of dealing with a used packaging equipment vendor. If you’re on the fence between buying new or used, you should absolutely consider buying used. Used packaging machine suppliers are generally more invested in the products they sell since they took the time to bring the machines back to full working condition; they’ll usually be more than happy to help you with any questions or concerns you might have. If your company produces, sells, and ships food, packaging is one of the most important aspects of to consider toward the end of the production process. Shipping food with damaged packaging can potentially result in costly spillage or spoilage that presents a health risk to consumers. The packaging equipment used in your facility will also affect the quality of the product along with the integrity of the packaging. There are several different types of food packaging machinery that you should use in your food packaging applications, including a selection of high-quality fillers and sealers. Here are some of the more common types of packaging machines that you’ll use in food packaging systems. Vertical form fill seal (VFFS) machines allow the product to be fed into a specific type of package to a predetermined level prior to sealing. 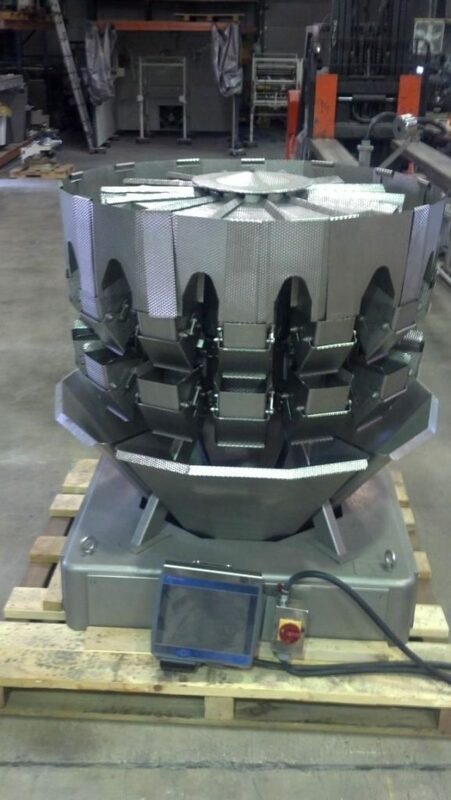 Nearly any application can utilize these machines, with multiple settings and changeover parts that enable facilities to customize them for a wide range of products. Horizontal form fill seal (HFFS) machines are frequently used for many different types of applications, but they are used specifically for horizontally sealed items in the food industry. These products require thermoformed solutions, which entail heating plastic to create the necessary shape for products. 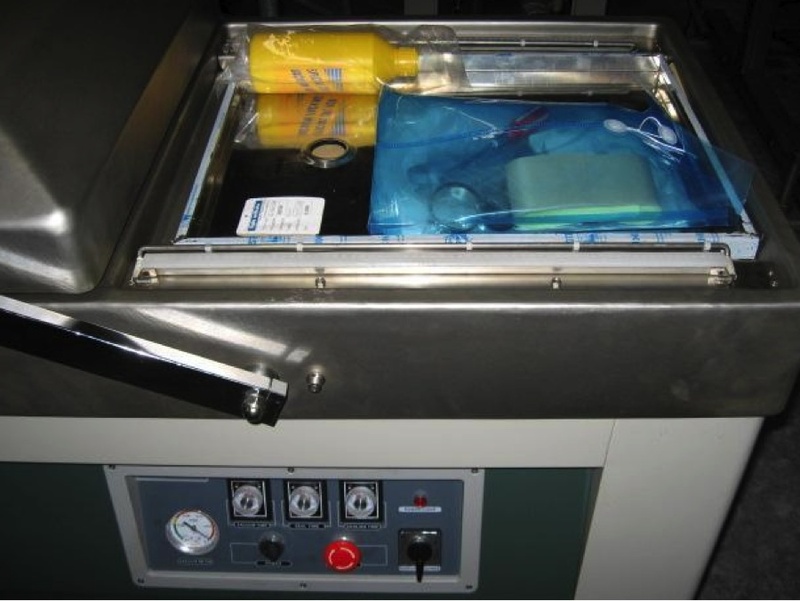 This equipment is also often used to create blister packaging for certain food items in single-serving trays. 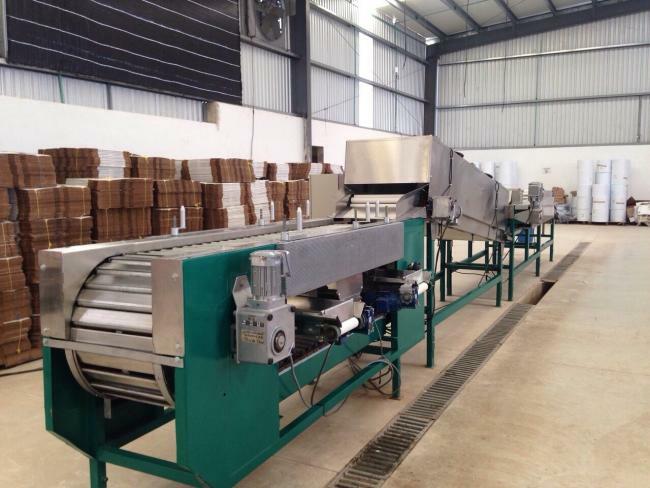 In addition to VFFS and HFFS machinery, food packaging systems will make use of several other types of food packaging machines to complete the production process. 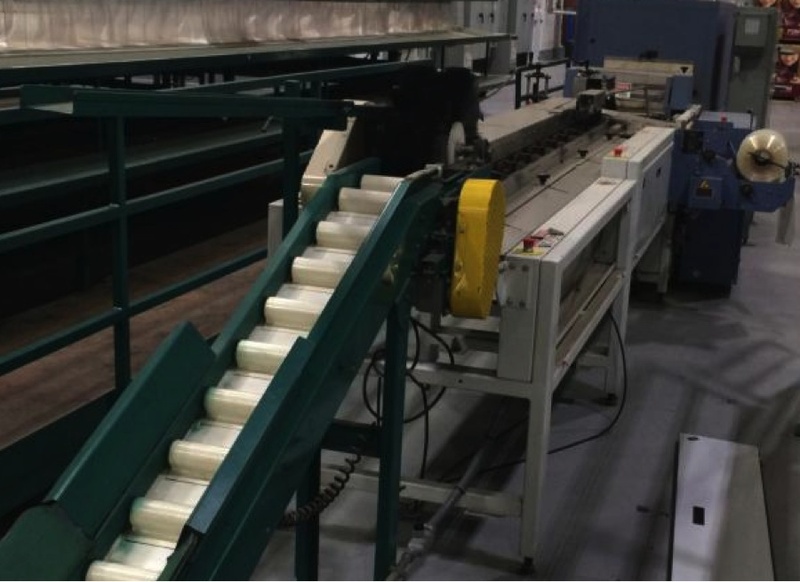 These machines can include conveyors that move the product down the production line at different speed settings, inspection machinery such as metal detectors and seal testers, and labelers that apply custom labels to packaging. 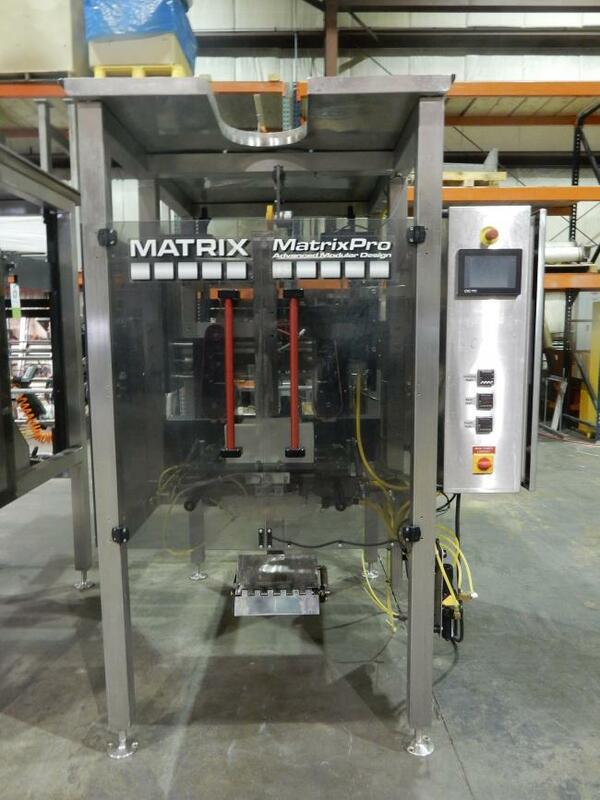 Using a combination of this machinery can help maximize the efficiency and productivity of your food packaging systems. Based on the requirements of your specific application, you’ll be able to find new and reliable used VFFS or HFFS machine available to meet them. 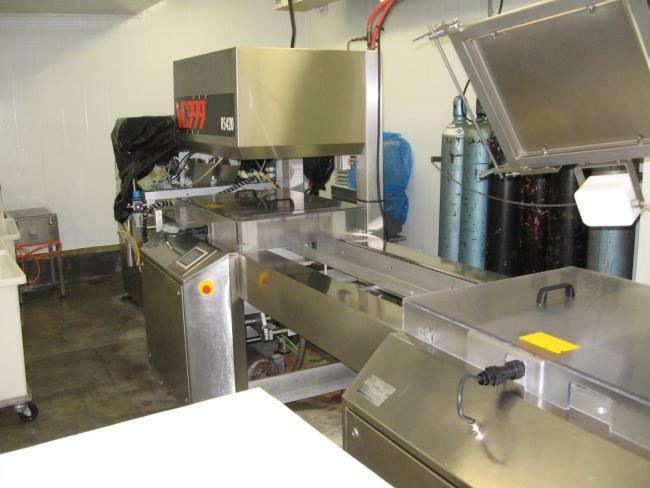 Used food packaging machines can help you save money while increasing profitability. Used machinery that’s undergone refurbishment will be inspected for quality assurance, and companies such as High Performance Packaging will also offer maintenance programs and other services to make sure you get the most from your equipment. Vibratory feeders, bucket elevators, code date printers, combination weigher scales, and many other machines are also integrated in food packaging systems to keep them consistently productive and cost-effective. Here are some of the specific applications that can benefit from used food packaging equipment. Meat products will require a wide range of food packaging systems depending on the specific product. Products could require either VFFS or HFFS machines, and many products such as chicken fingers will require freezer tunnels that prevent the product from spoiling. 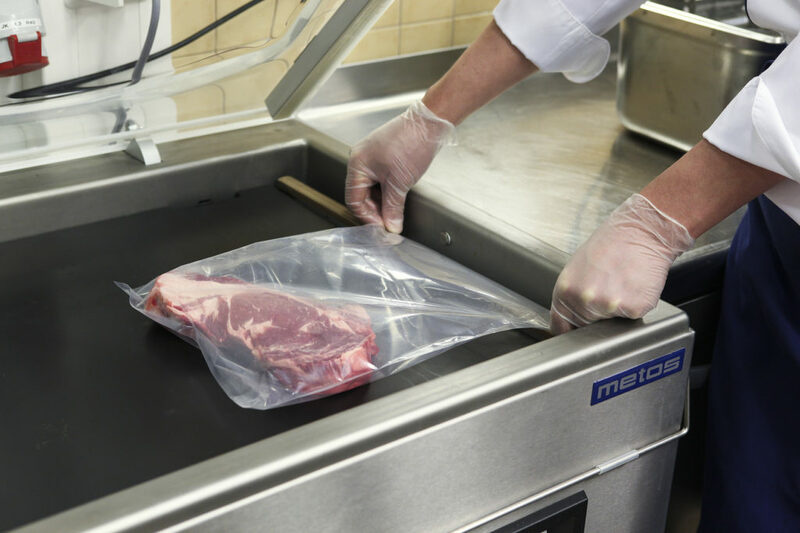 Products such as hamburgers and others requiring thermoforming will benefit from HFFS machines, while dry meats such as beef jerky are typically filled using VFFS equipment. 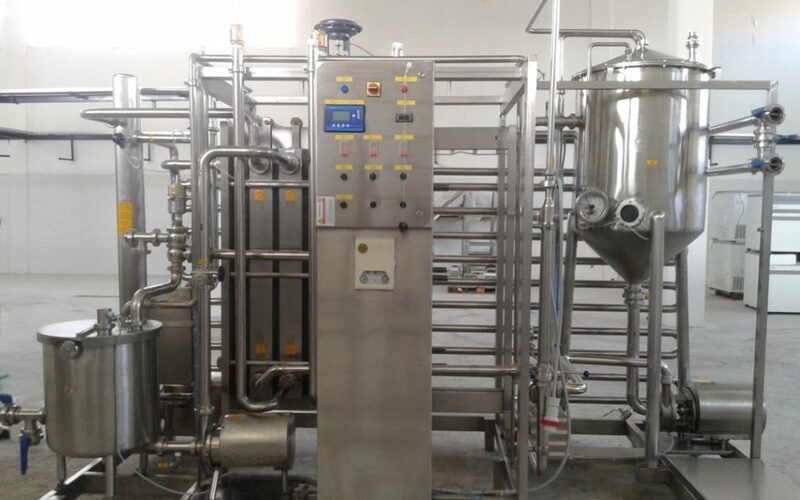 There is a wide variety of dairy products that will require specific types of dairy packaging machinery. Certain products such as shredded cheeses are often packaged in vertical bags using VFFS machines, while others such as cheese wheels will require thermoformed packaging through HFFS machines. These products will typically require either HFFS or VFFS machines for packaging, while freeze tunnels can be used at the end of the packaging line to preserve them. 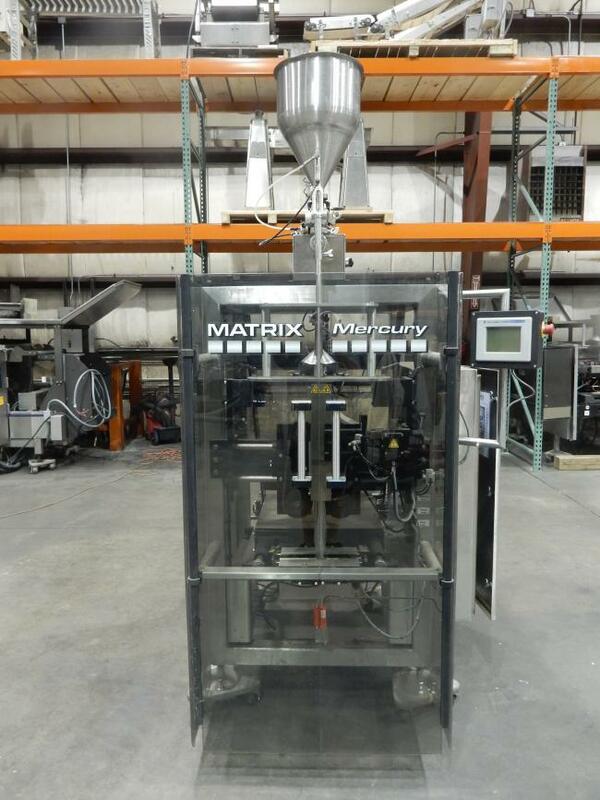 Snack products and chips often use VFFS machines to fill vertical bags, along with bulk conveyors. 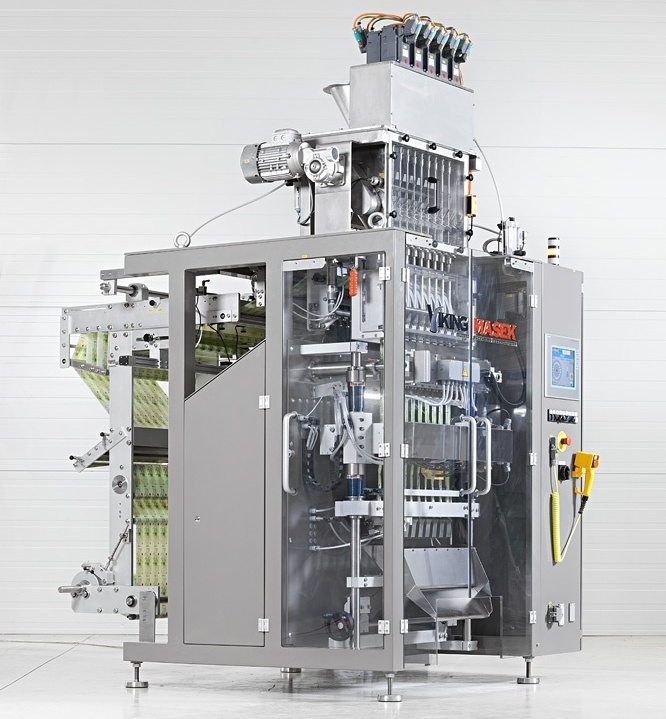 VFFS machinery is typically used to fill vertical packaging for juices and other types of beverages in vertical packaging throughout the packaging process. 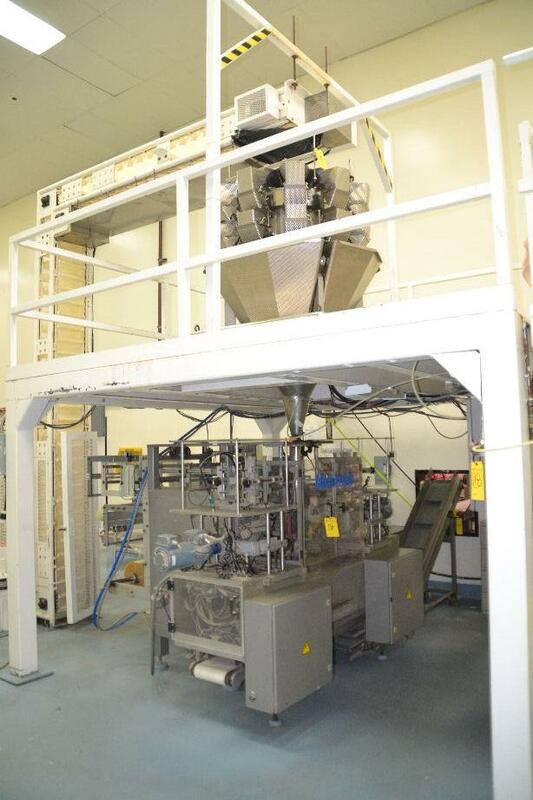 Certain candy and nut products will require the use of VFFS or HFFS machinery for high-quality packaging. Tea and coffee products are normally filled vertically in cans or bags, requiring the use of VFFS machines. 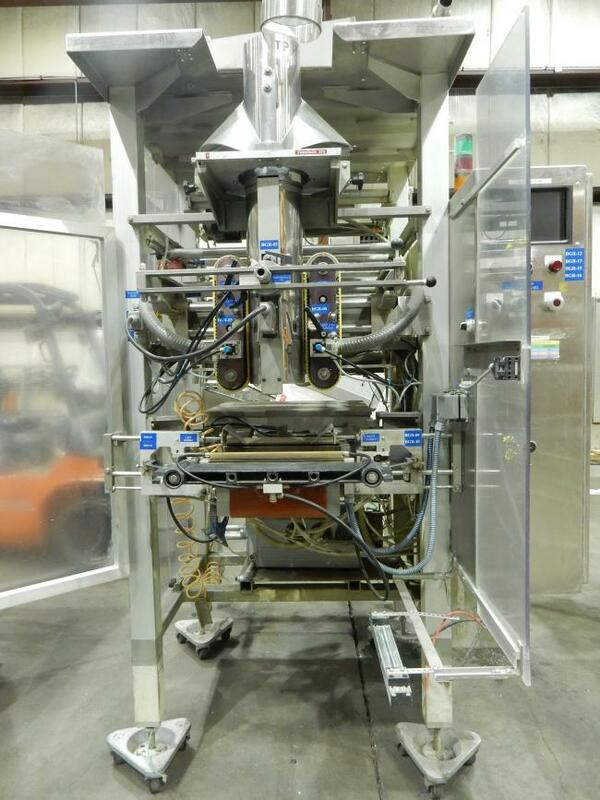 Depending on the type of packaging system that your bakery products require, you’ll want to use VFFS for more generic vertical packaging for cookies or other products that are typically packaged in bulk. However, larger cookies, pastries, and other products that need packaging shaped specifically for them will need to use HFFS machines. If you need reliable food packaging equipment for your production lines, consider implementing a system of High Performance Packaging machinery in your facility. We can give you the results you want with the help of our used equipment that’s in working condition and ready for installation. With one or more of our machines at work in your operations, you’ll benefit from optimal efficiency and productivity. We can also help customize each piece of equipment to meet the space requirements and other specifications of your application. In addition to high-quality commercial food packaging equipment, we offer a selection of services to help keep your machinery running the way it should. These services include troubleshooting, operator training, preventative maintenance programs, performance improvement, line start-ups, and OEE programs. With a combination of used food packaging equipment and our services behind your operations, you’ll benefit from a system that can give you the results you want. 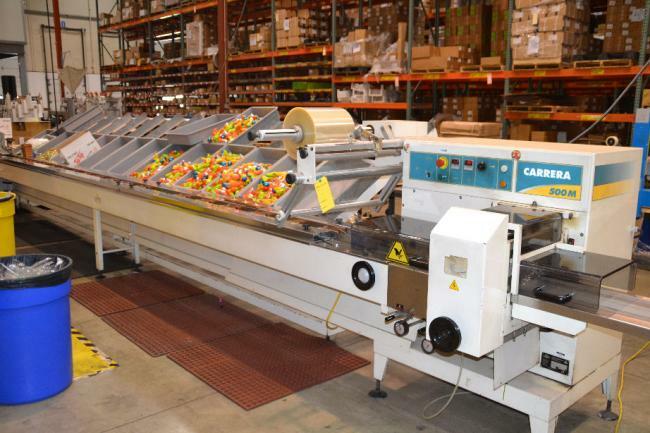 If you would like to learn more about any of the products we offer for food packaging systems, including our wide selection of VFFS and HFFS machinery, browse our inventory online or contact us today. We’ll help you find the perfect machinery to enhance your production lines today, regardless of the type of food products you need to package. 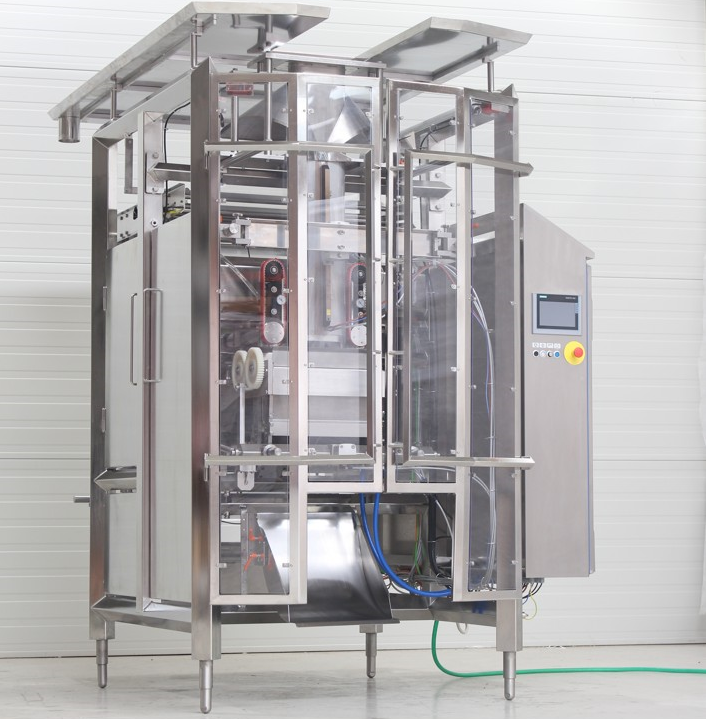 Dairy products require reliable packaging machinery that can adequately fill and seal various types of packaging. You’ll find one of the most extensive and high-quality selections of used dairy packaging machinery here at High Performance Packaging. We have plenty of reliable equipment that can give your operations what they need to give you optimal results. We carry one of the most extensive selections of used dairy packaging equipment for installation in nearly any facility and production line. We have plenty of machinery that is capable of meeting the needs of your application, with customization available for various packaging specifications. Our full inventory includes a variety of dependable VFFS and HFFS machines, bucket elevators, bulk product conveyors, labelers, combination weigher scales, and many other reliable products. We also make sure each of our customers benefits from top-quality packaging equipment by carrying only the most dependable brands in the industry. You’ll find some of the most reputable manufacturers in our product line, including Yamato, Bartelt, Ishida, Hayssen, Matrix, Kliklok, and more. With this machinery in your facility, you won’t need to worry about frequent breakdowns and downtime with machines designed to last for many years. Unlike other packaging companies, High Performance Packaging places emphasis on customer service, as we only offer the most durable and long-lasting used dairy packaging machines available. We want to ensure all of our customers are continually satisfied with their purchases, with machinery that’s in working condition. We test each machine to make sure it’s functional prior to selling it, and we also offer replacement parts including sealing bars and forming tubes to further ensure your machines work the way they should. To further make sure you’re happy with your purchase, we offer several services along with high-quality packaging machinery. Our list of services includes equipment troubleshooting, operator training, preventative maintenance programs, an OEE program, line startups, and performance improvement. Each of these services can help keep your systems fully operational and maximize efficiency and profitability, with minimal risk of breakdowns and subsequent downtime. 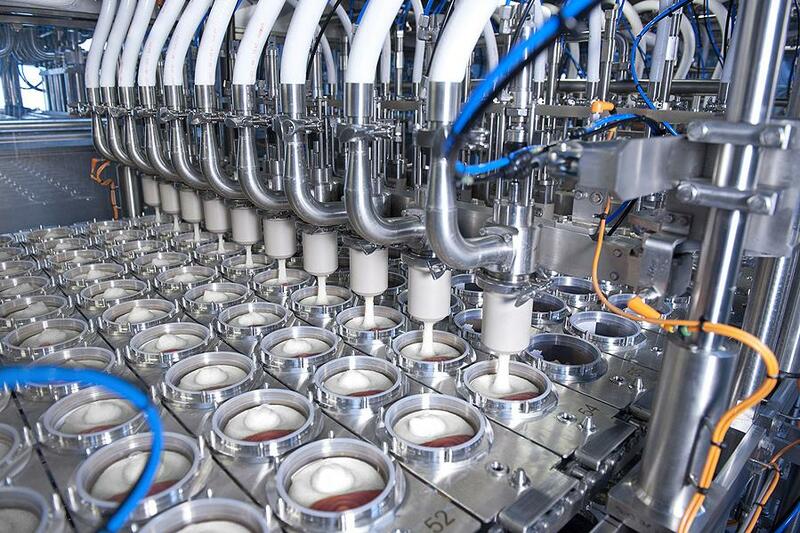 If you want to find the perfect dairy packaging equipment for your facility today, contact High Performance Packaging and we’ll connect you with one of our packaging specialists. You can also browse our full selection of products here today. We’ll help you find exactly what your production line needs to maximize efficiency and productivity with our dependable products and services.